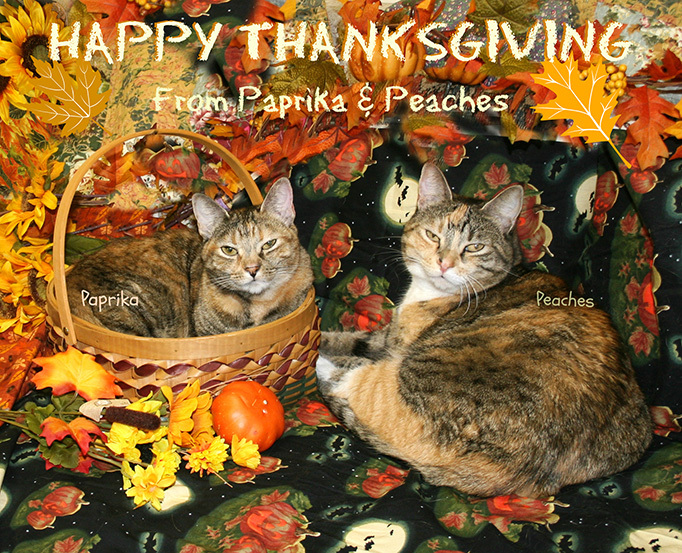 Peaches and Paprika: Happy Thanksgiving from US! A very Happy Thanksgiving to all of you. 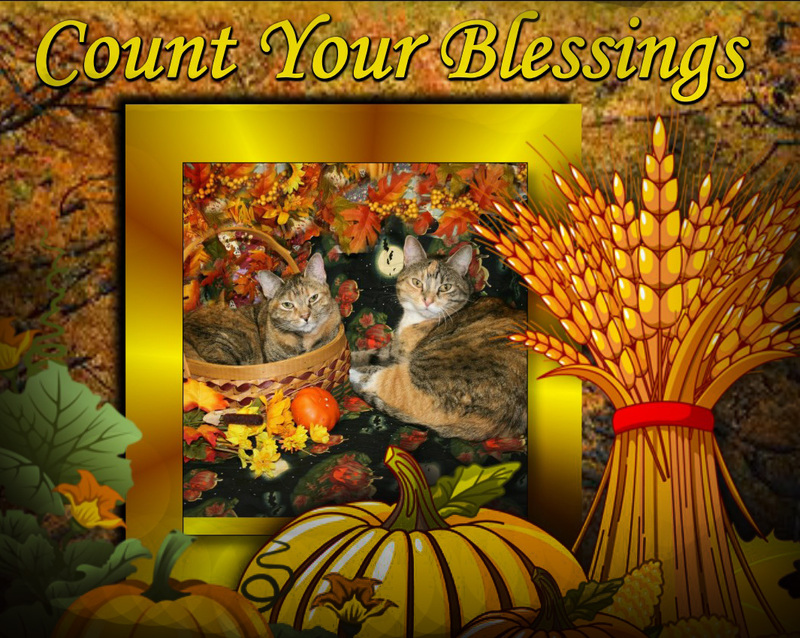 We are very thankful for all of our blogger friends. They are the very best. Hope you have a very fine day. Happy Thanksgiving, friends! Just like you, we are so very grateful for all of the wonderful pals we have made in this wonderful blogging community. 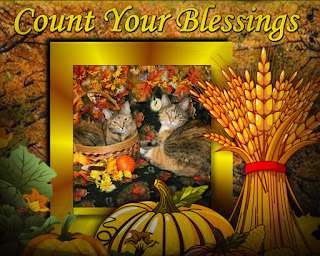 Purrs and blessings! We hope you have had a good Thanksgiving Day.